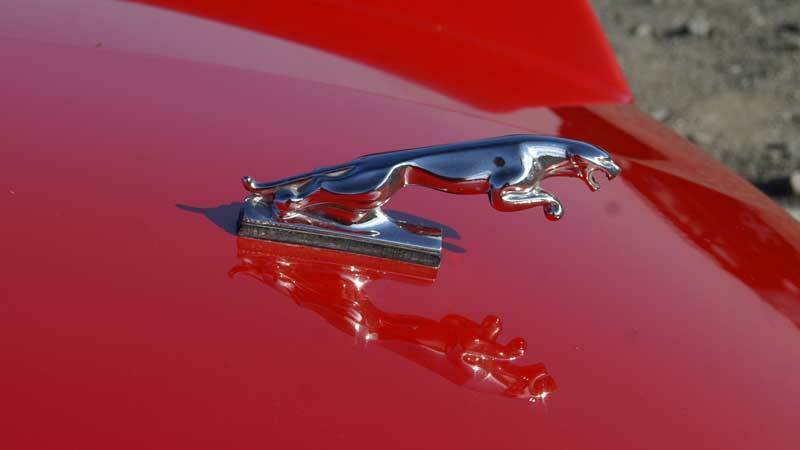 Why hire a Jaguar XJS? The Jaguar XJS convertible is a superb grand tourer, with light power-assisted steering, effortless acceleration, and armchair luxury. With its grace and pace it makes a stylish and comfortable motorway cruiser. Most modern sports cars are faster, but few ride better than an XJS. 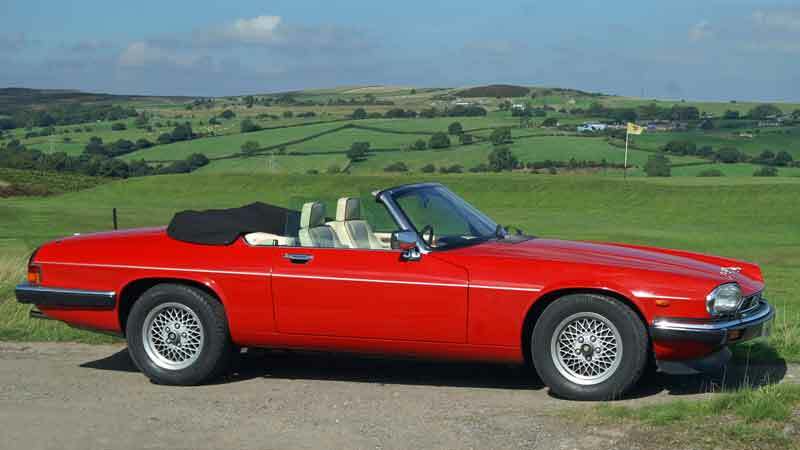 In a beautiful shade of red, our XJS has a thunderous 5.3 litre V12 engine and automatic gearbox. If you want to cruise the beautiful countryside of Yorkshire with the top down, this luxury jaguar car hire could be the choice for you. Our 1990 Jaguar XJS convertible is completely original and in pristine condition for a sports car of that year. With its turbine smooth 5.3 litre V12 engine delivering 280 bhp at 5000 rpm, and seemingly endless torque, it has silky-smooth performance, perfect for cruising in total comfort. 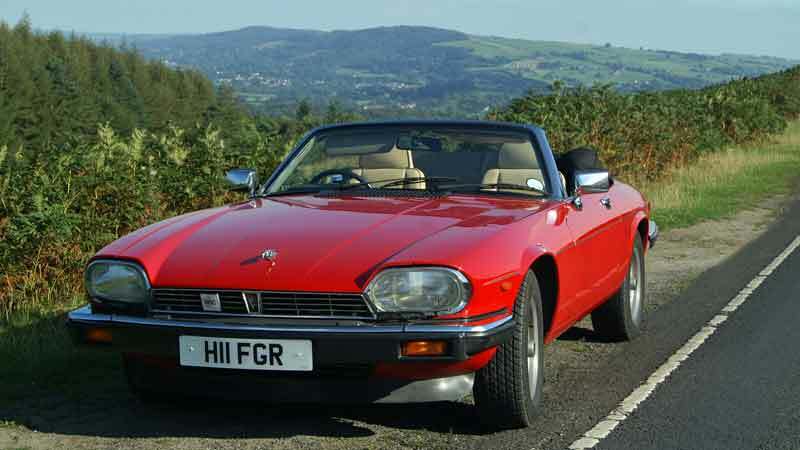 Hire a Jaguar XJS for the day and, upon return, you can get out of it as if you’ve just been asleep in an armchair. 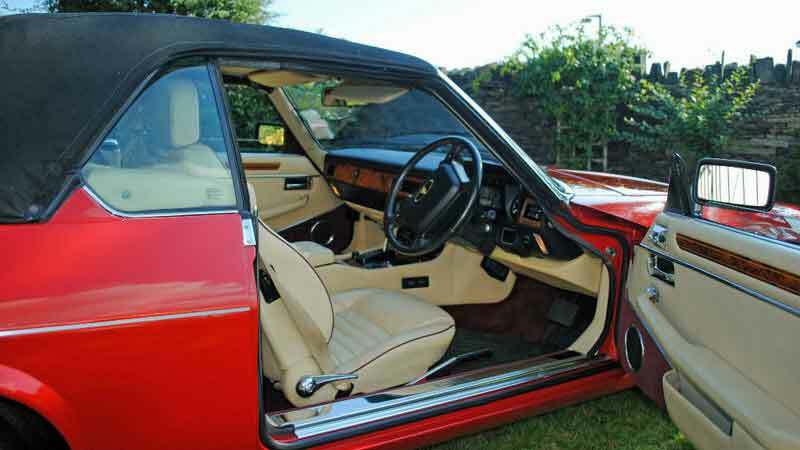 If you want to hire a Jaguar with panache, our XJS is in an attractive combination of Signal Red with Magnolia hide interior and power hood. 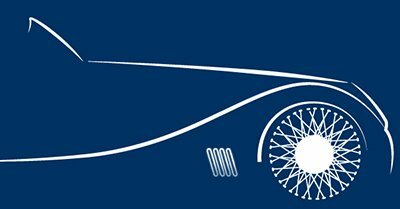 Our convertible 2 seater sports car is a real period piece, a classic car reminiscent of the 1970s. 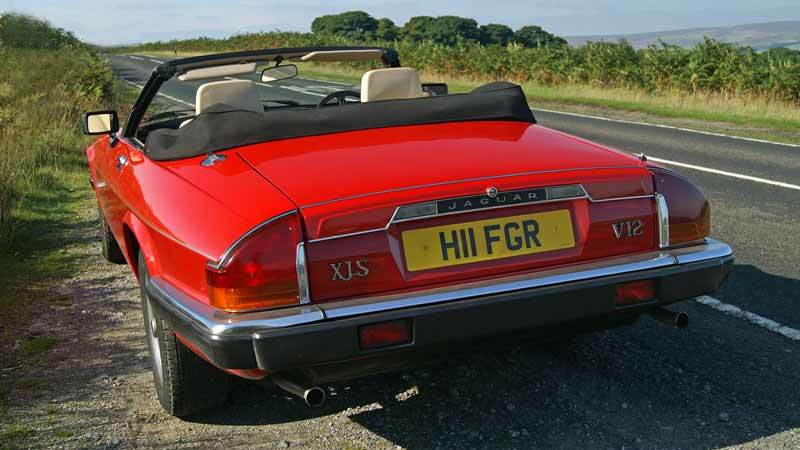 Everybody likes an open top Jaguar, and when the XJS convertible was introduced in 1975, it soon became one of the most popular Jaguars of the day, and a firm favourite with company executives. It surprised the market when it was launched – the smooth curves of the Jaguar E-type had been replaced by a much more angular style which was very, very 1970s. It quickly became the height of fashion and production ran through until 1996. If you can remember “The New Avengers” then you may remember Gambit driving around in a Jaguar XJS, as did the ultra cool Simon Templar in “The Return of The Saint”. Many people are of the opinion that we don’t just think things were better in the 1970s, they actually were. Jaguar cars have always been the affordable luxury car, so why not remind yourself of those care free days of the 1970s by hiring an XJS? Vented Discs at the front and Discs at the rear.